With a stay at Hi Country Haus in Winter Park, you'll be next to a golf course, within a 10-minute drive of Winter Park Ski Resort and Winter Park Visitor Center. Featured amenities include a computer station, complimentary newspapers in the lobby, and luggage storage. This condo has 2 meeting rooms available for events. A train station pick-up service is provided at no charge, and free self parking is available onsite. With a stay at Lindig Lodge by RedAwning in Granby, you'll be within a 15-minute drive of Pole Creek Golf Club and Fraser Tubing Hill. With a stay at this vacation home in Winter Park, you'll be within a 15-minute drive of Winter Park Ski Resort and Cozens Ranch House Museum. With a stay at Pines at Meadow Ridge, you'll be centrally located in Fraser, within a 15-minute drive of Winter Park Ski Resort and Fraser Tubing Hill. Free self parking is available onsite. With a stay at Jabberwocky Home by RedAwning in Fraser, you'll be within a 15-minute drive of Winter Park Ski Resort and Fraser Tubing Hill. With a stay at Lookout Village A6 by RedAwning in Fraser, you'll be within a 15-minute drive of Winter Park Ski Resort and Fraser Tubing Hill. With a stay at this cabin in Winter Park, you'll be within a 10-minute drive of Winter Park Ski Resort and Winter Park Visitor Center. 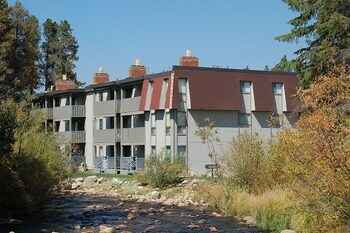 With a stay at this condo in Winter Park, you'll be minutes from Winter Park Visitor Center and close to Winter Park Ski Resort.